Parking indicator bollards are a helpful way to display parking availability with a simple green (availability) or red (no availability) light. 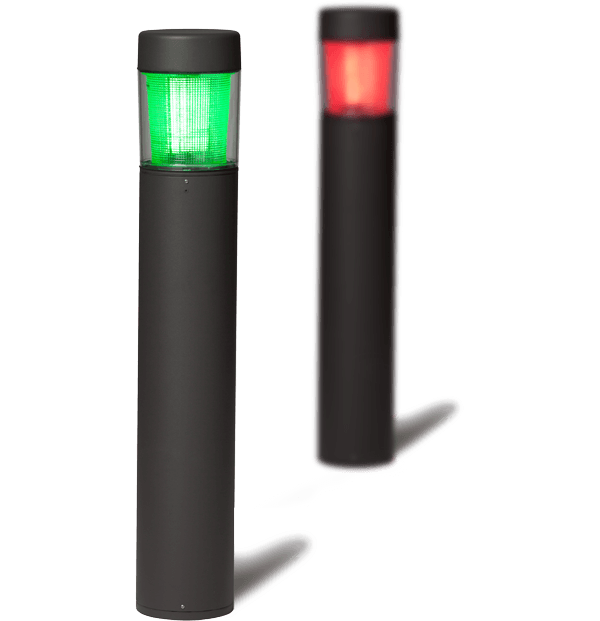 Place these LED bollards at the end of each row of your indoor or outdoor parking facility. Availability data is obtained from ATS or partner sensor providers, and data is accessed through API calls to the sensor server. The system includes parking indicator bollards and a gateway for cellular communication to the Internet for accessing parking availability data. Parking indicator bollards are an available component of the ParkingCloud Parking Availability Notification System, a turnkey system that communicates parking availability to drivers, either with variable message signs or indicator bollards. Access the secure, password-protected ParkingCloud website for information including system status, parking availability data and message updates. The web-based user interface is always up to date and continually receives applicable enhancements. This fully hosted web-based management system can be accessed from any Internet connection for anywhere access. Works on any Internet-connected device with your browser, including PC, Mac, Android and iOS, with no IT involvement or support necessary. Manage your parking program through intuitive interactive maps. 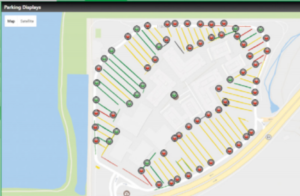 ParkingCloud mapping software visually pinpoints parking availability locations at the row, section and lot levels. Ideal for real-time insight, anytime monitoring and parker use. An interactive map provides a window into all your system information and functions. Click on each device for relevant settings and status. See parking availability and indicator bollard status. Verify current equipment locations with GPS, and show location conflicts between the server location and GPS of your variable message signs.